Card Delivery Links do not work in my Comments. Please send individual cards with the appropriate links instead. MAL is trying to fix the problem. Sorry for the inconvenience. Just a lil about me... My name is Val and I have been watching anime since I saw Vampire Hunter D back in 1985. Yea Yea I know I'm old LOL hahahahahaha My mother, brother, and my son all watch anime as well. I take that back I remember watching Voltron and Ultraman before Vampire Hunter D, so yea I'm old hahahaha. I consistantly change my Fav Anime, Manga, and Character Picks each Season. I still love the other Anime/Manga/Character's I previously listed!!!! Oh another thing about me is I'm a HUGE fan of Yuuichi Nakamura aww his voice sends chills up my spine....He is just that... well I really shouldn't have to explain. I'm sure most of you girls out there understand what I mean. My 2nd Fav person is Jun Fukuyama..... his voice is wild. I just love it!! <3 Of course I've chosen my Fav VA's but there are a couple missing and that would be Kanae Itou & Kana Hanazawa. When I first heard Itou-san I loved her cute fun voice and how she can change it depending on the char she voice's. Hanazawa-san's voice is also similar in depth as she expresses her characters. Actually... I think your bio is awesome!! Yup, sugar over salt. Always. took a while to upload but here it is.. When you have time, can you deliver this newsletter for MAMC? Hello! Can you deliver this newsletter for MAMC? Today Is My Birthday, So Spread The Celebration Around!! 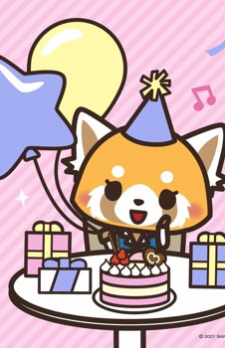 Also, If U Don't Mind, Leave Me An Anime Birthday Post With An Anime Pic!! I Would Really Appreciate It!! Hello :) Can you this newsletter for MAMC?